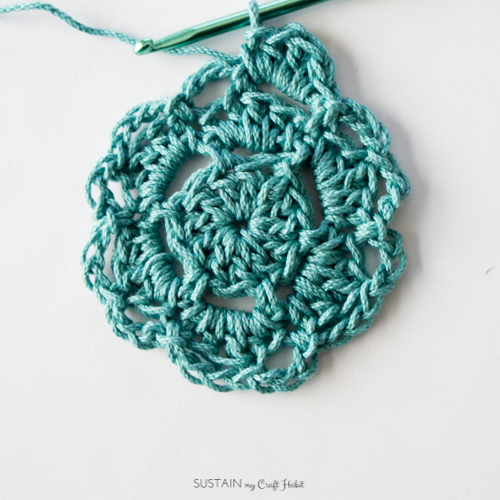 If you’re wondering how to crochet a coaster, we have an easy and versatile free crochet pattern for you. 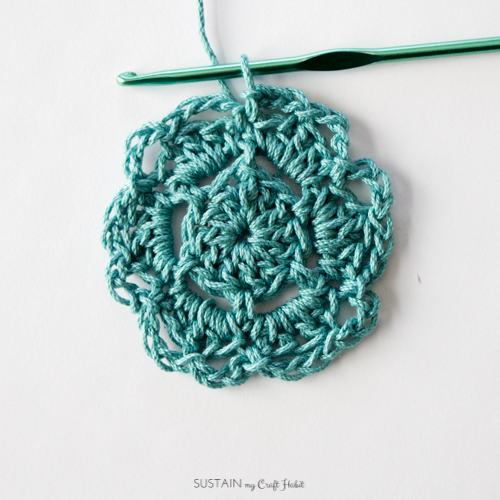 The step-by-step photo tutorial makes it a great crochet coaster patterns for beginners but is versatile enough to be used in more advanced projects as well. 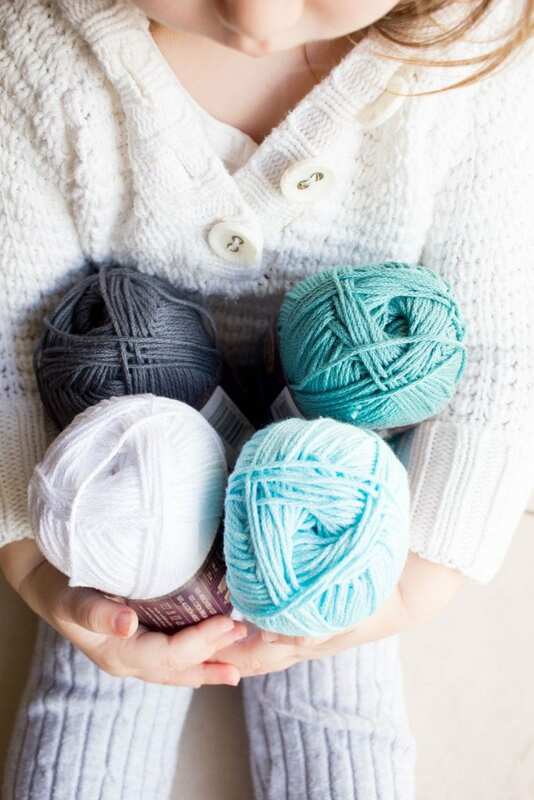 If you were to receive a gorgeous set of cotton yarn, what would you make? When we were initially thinking about what to make for December’s #12MonthsofDIY challenge (our last one!) with yarn we knew we wanted to work with cotton and the idea of crocheted loofah’s came to mind. But when Lion Brand Yarns sent us the beautiful skeins, in coastal-inspired colours we had picked, loofah just didn’t seem to cut it. Instead, I got out my crochet hook and made a coaster pattern! 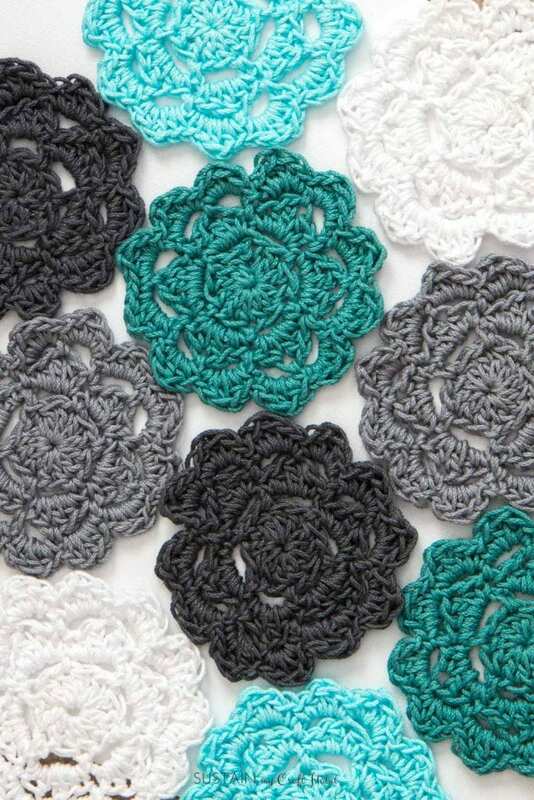 OK, although crochet coasters don’t seem any more glamorous than a loofah, these crochet rounds are a fantastic starting point for all kinds of projects including throw pillows, afghans and more. Stay tuned and we’ll be sharing some of these ideas in the coming months. 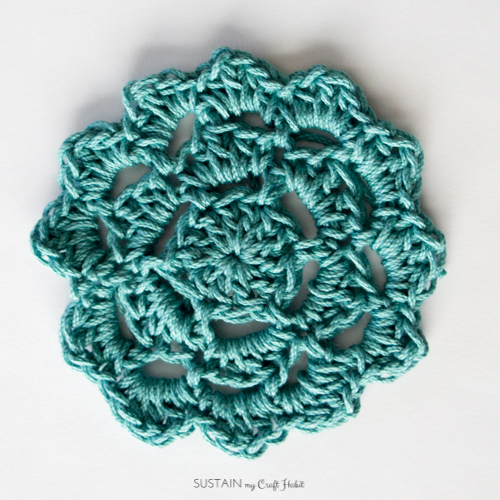 To get started, we’re happy to share this starter crochet coasters pattern with you. 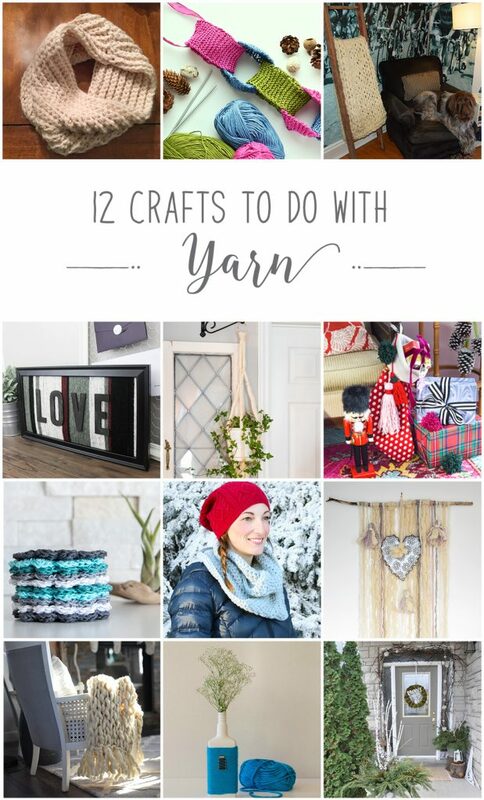 And be sure to scroll to the end to see the other projects our talented and creative fellow Canadian blogger friends made with yarn! 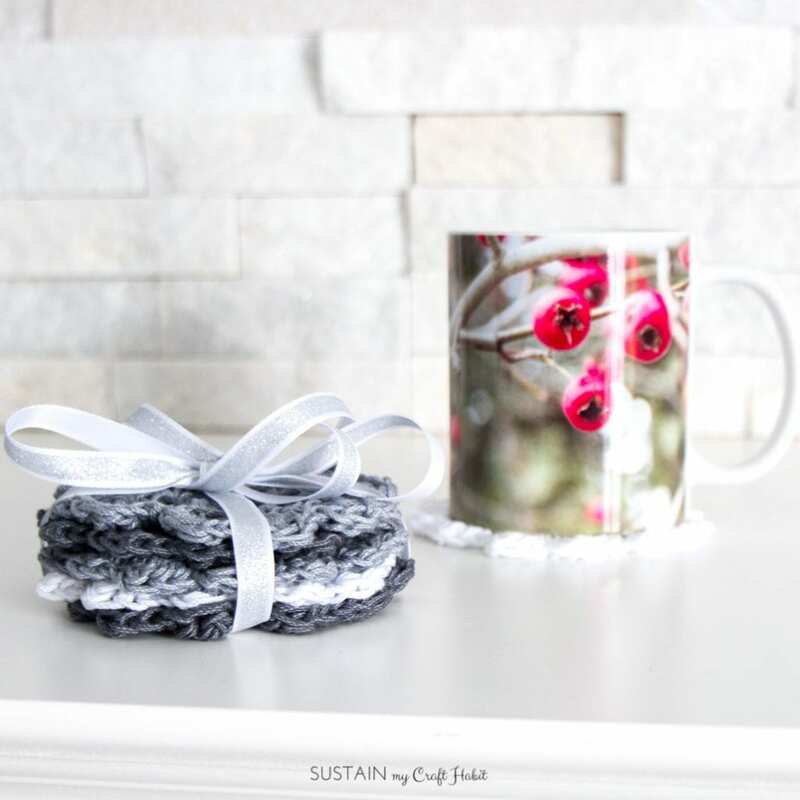 A set of these crochet coasters would be a thoughtful handmade gift idea, especially paired with some mugs such as those from our own nature-inspired collection! Round 5: In each of the 12 loops created in Round 2: sc, hdc, dc, hdc, sc (60 sts), sl st to top of starting sc. Fasten off and sew in tails. While these little rounds are perfect on their own as a set of crochet coasters, we think they’ll be amazing joined together into a lovely keepsake crochet afghan. Keep your eyes open for those instructions which we’ll share here shortly! These teals and grays are just so soothing don’t you think? 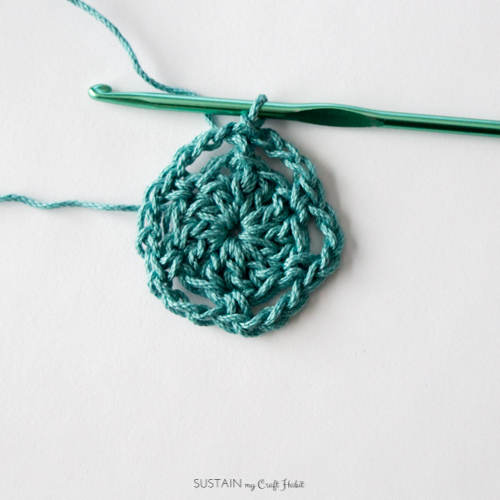 We hope this tutorial on how to crochet a coaster has been helpful. 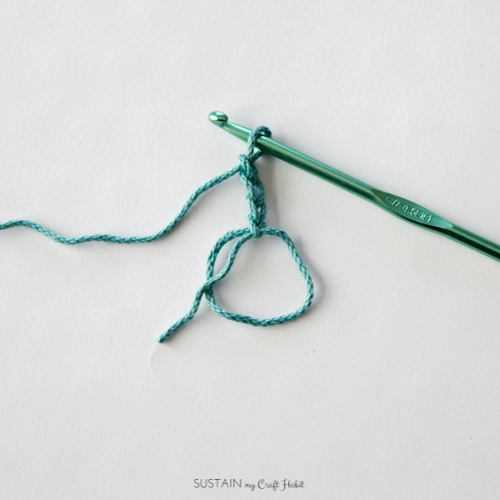 More Craft Ideas Using Yarn! 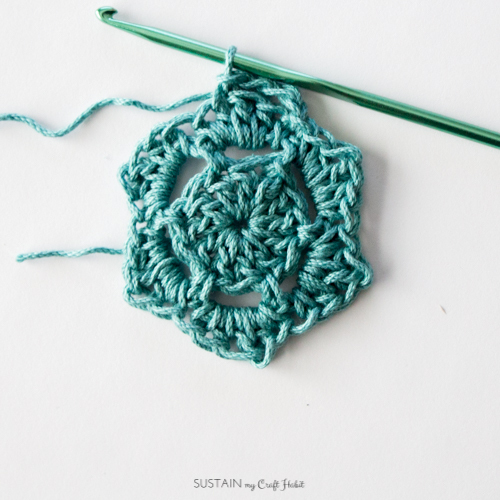 We have more yarn craft ideas here on the blog such as our Sand Dollar Crochet Throw Pillow Cover and our Sand Pebbles Diamond Crochet Afghan Square. Moreover, be sure to explore all the beautiful crafts our fellow Canadian blogger friends made with their Lion Brand Yarn! 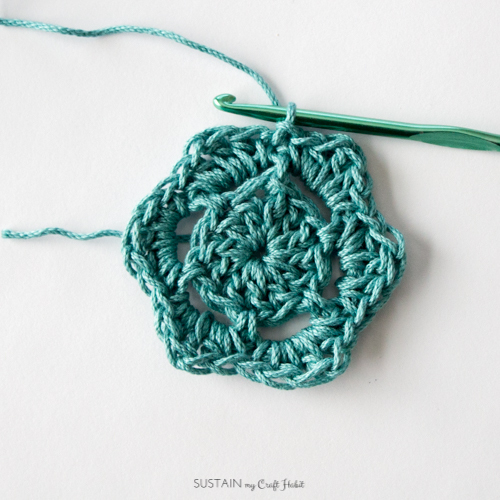 We’d love to see a photo of your crochet coasters if you make them. 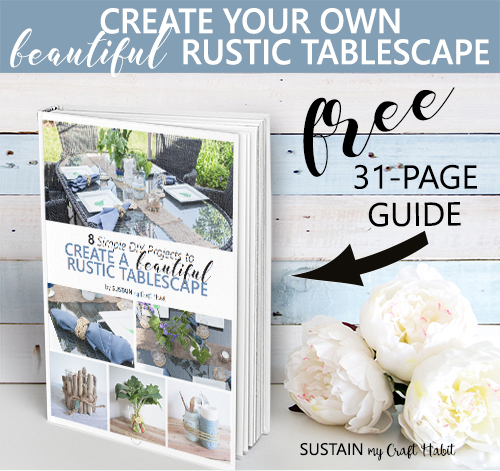 Email us a photo or share it on Instagram and tag us @sustainmycrafthabit ! 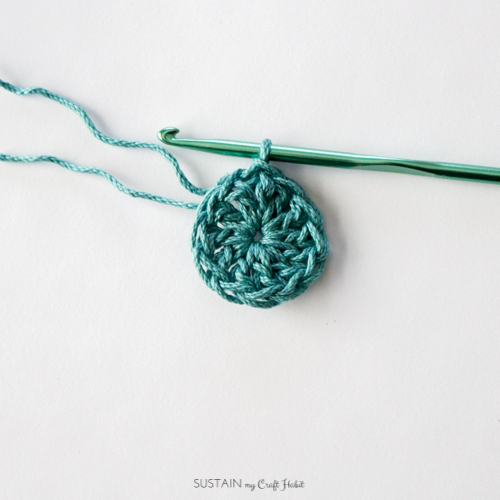 Do you have any other questions about how to crochet a coaster? 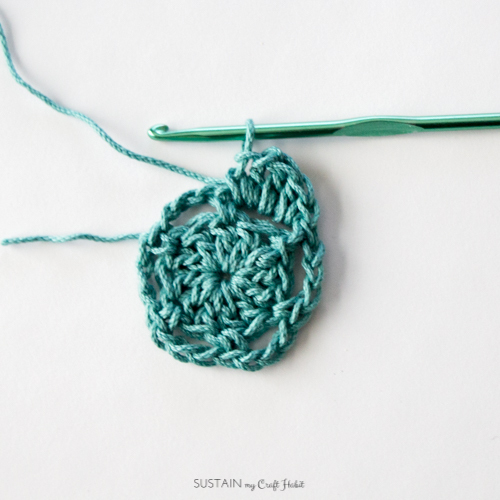 Wondering how to crochet a coaster? 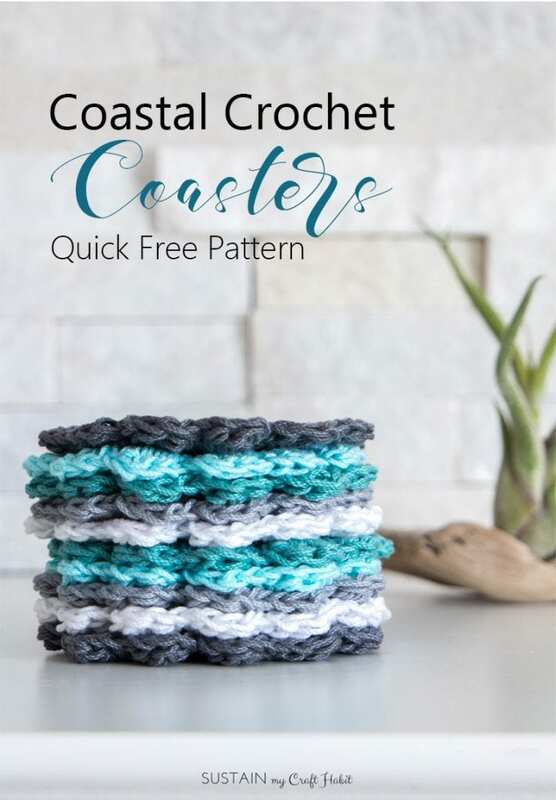 This easy crochet pattern with a step-by-step photo tutorial makes it a great crochet coaster pattern for beginners. I haven’t crocheted since I was a preteen (with my granny) but this looks like a good project to start with. They are so pretty. OH my, I’ve never crocheted and I’ve always wanted to learn, my Nanny was a whiz with a crochet hook… she did pass on some knitting skills thankfully! I would love to learn and your beginner tutorial is PERFECT for me! Thanks! These coasters turned out so cute… i’d almost be tempted to sew them together and make a table runner the colours are simply beautiful! Great idea, we may just have to give the table runner idea a try! Such a sweet little project, perfect gift. Love the colours you choose too. Great tutorial. Thanks, Dannyelle. Yes, I think we definitely have enough to give out as gifts! Love those colors! I have been wanting to try the 24/7 Cotton Yarn, but wasn’t sure what I wanted to attempt with it. Guess I’ll be heading out for some soon to try my hand at these coasters! 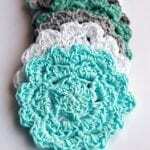 Please Hindi to transfer crochet flower…..
Love those colors… and I see several Projects to try… I signed up for our newsletter too.. I love this pattern. Do you allow us to sell the items we make as long as we dont claim the pattern as our own? Hi Sherri. Yes, absolutely! Thank you for checking in. 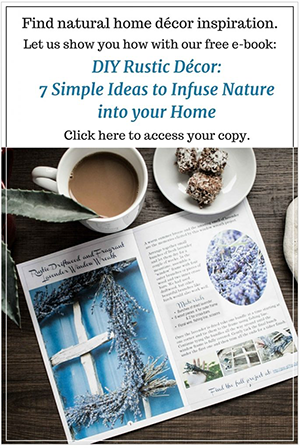 This is such a lovely gift idea! 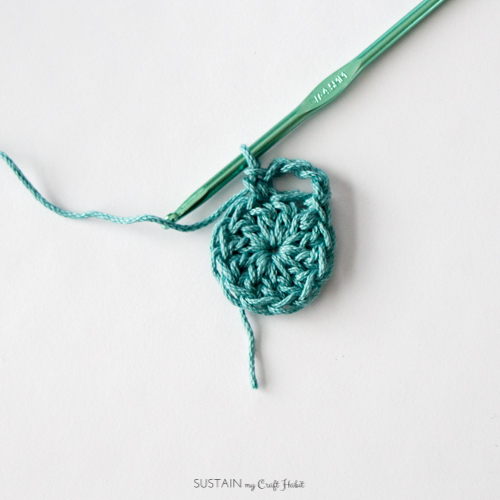 I am teaching my daughter to crochet and we will keep these on our list of things to try once we get more practice!